Hong Kong is a Special Administrative Region located southeast of China's Guangdong Province. Located along the coast, the region has an area of 1100km2 and a population of nearly 7 million, nearly 150 times that of Itoigawa (48,000). Hong Kong is famous worldwide for its impressive skyline, comprised of a forest of towering skyscrapers, often called "The Million Dollar Night View." Located in a subtropical climate, Hong Kong is rich in a variety of colorful tropical plants and animals. While Hong Kong is most well-known for its ultramodern city, 40% of the Hong Kong region is protected as National Parks, giving it one of the highest ratios of National Park Area in the world. 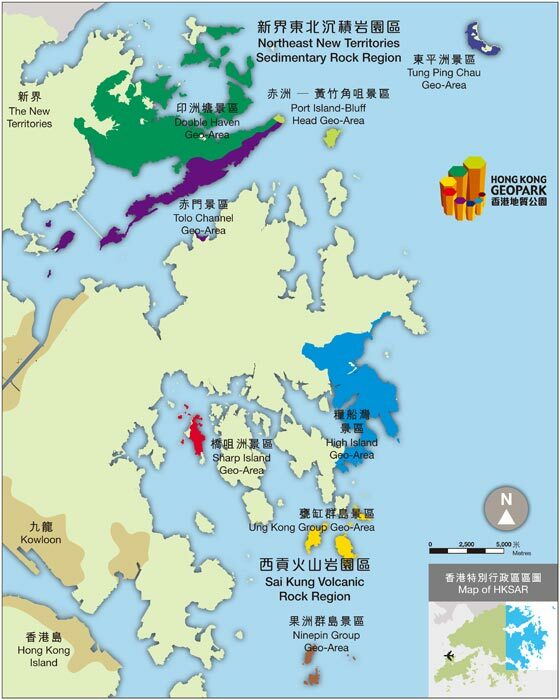 The Hong Kong Geopark is located within these conservation districts, consisting primarily of two regions, the Northeast New Territories Sedimentary Rock Region and the Sai Kung Volcanic Rock Region, together encompassing 50km2. The Sai Kung Volcanic Rock Region features a number of impressive hexagonal columnar joint formations which have come to represent the Hong Kong Geopark, even featuring in its logo. 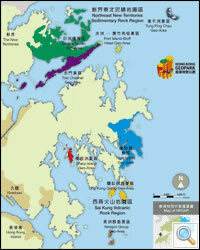 Hong Kong Geopark is sistered with Itoigawa Geopark. The sister relationship was formed on the 3rd of November 2009 so that the two parks could cooperate in the preservation and custody of geological resources, the exchange of professional information, education and research activities, and other joint ventures. Since forming this special relationship, the two Geoparks have significantly benefited from the increase in cooperation and partnership, forging a valuable bond within the Global Geoparks Network. Since partnering through the Sister Geoparks Agreement, Itoigawa Geopark has cooperated with Hong Kong Geopark in a number of fields. This partnership has had a profound effect on the development of both Geoparks. Joint onsite inspections, rock and mineral composition surveys, and other research and academic cooperation. Along with staff exchange programs, both geoparks regularly send observation and inspection teams to exchange information and ideas. The two Geoparks jointly host lectures, seminars, and other activities to raise public awareness about each Geopark. To ensure the future of Geoparks around the world, it is important to get younger generations involved. To this end, Itoigawa and Hong Kong participate in student exchange programs. Since 2011, Itoigawa has sent an annual delegation of 30 junior high school students to Hong Kong Geopark to learn about their Sister Geopark and to meet and exchange with the people of Hong Kong. 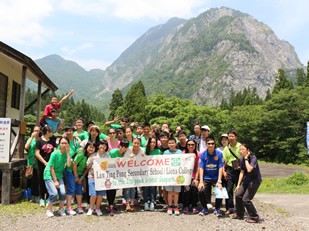 Hong Kong Geopark has reciprocated by sending primary and secondary school student groups on exchange visits to Itoigawa Geopark. 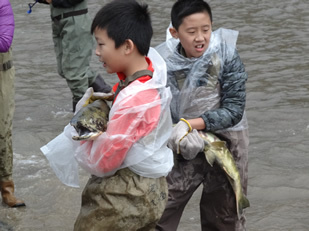 Hong Kong Geopark and Itoigawa Geopark have begun experimenting with the implementation of a real-time e-classroom project. In the future we hope to expand this program to all Geoparks, allowing for easy and affordable exchange opportunities between Geoparks. The two Geoparks cooperate in promoting each other. 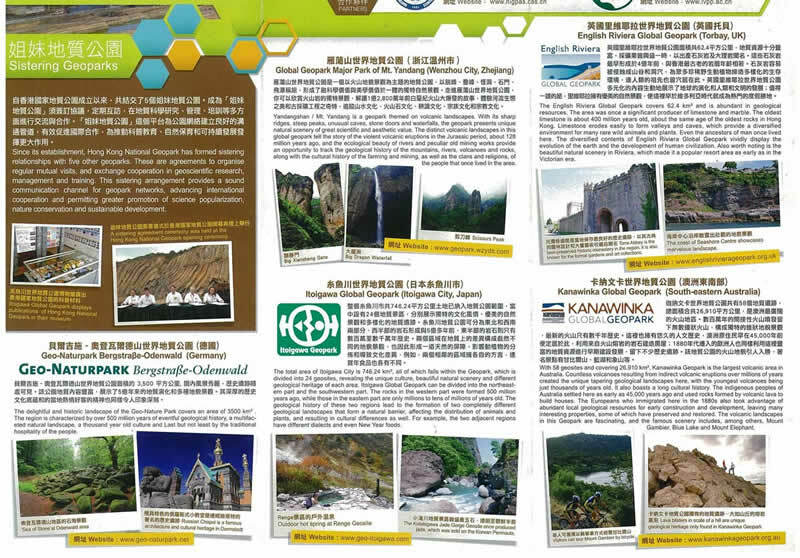 For example, Hong Kong Geopark introduces the Itoigawa Geopark in its leaflets and brochures. 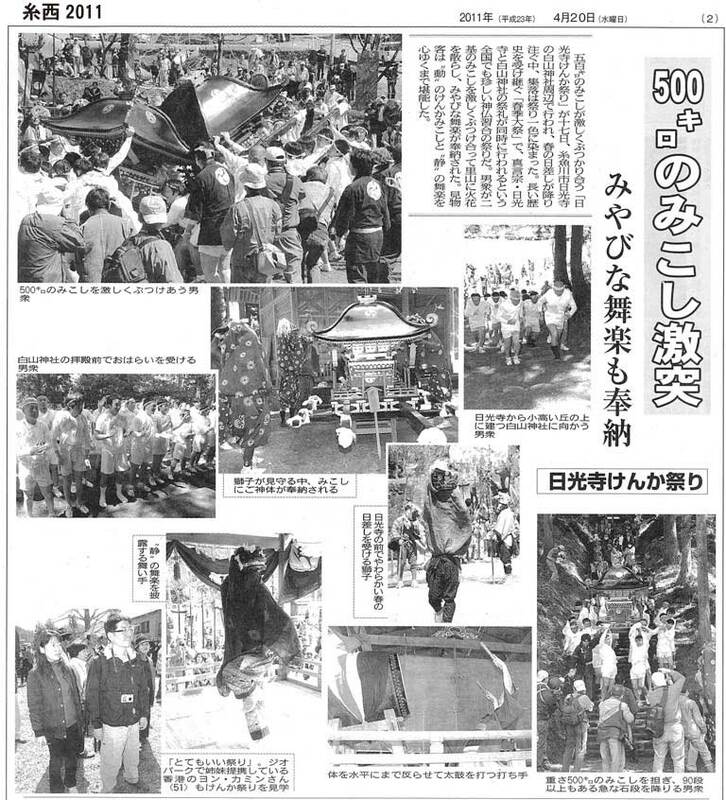 Furthermore, when they cooperate in joint activities, both geoparks release information to their respective national newspapers to raise awareness about their cooperation. Both the Fossa Magna Museum and the Itoigawa City Office contain exhibits which introduce the Hong Kong Geopark and the Hong Kong Geopark's Visitor Centre displays information about the Itoigawa Geopark. In addition, the two Geoparks share exhibit materials— Itoigawa's Fossa Magna Museum contains a beautiful fossil specimen donated by Hong Kong Geopark, while Itoigawa Geopark presented Hong Kong with specimens of Itoigawa's jade. Through these exchange activities, the visitors are able to learn more about these two Sister Geoparks.